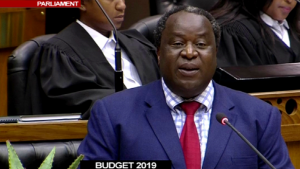 The Minister of Finance, Tito Mboweni, says cabinet is considering a proposal to end the issuing of guarantees for operational purposes at state-owned entities. In his budget speech, Mboweni says guarantee rules must be tightened. Senior Lecturer at the University of Witwatersrand, Prof Ivor Sarakinsky, says talks of changing SOEs are possible, but privatising them will be a challenge because of opposition within the African National Congress (ANC). “The pain of restructuring, streamlining and making more efficient is something that just has to happen. A lot of SOEs are of national strategic importance,” says Sarakinsky. The post Mboweni questions use of guarantees to SOEs appeared first on SABC News – Breaking news, special reports, world, business, sport coverage of all South African current events. Africa's news leader..